We offer a vast variety of classes that emphasize strength, endurance, intensity, balance, movement, flow, mobility and mindfulness. Some classes deliver results through a fusion of two or more differing modalities. Some classes come to you with a single minded focus, and in a few we will throw the entire Toybox at you! You are encouraged to lock in the zone, be present and earn your sweat! We want you to have the best experience possible, which we know includes having no stress about whether there will be room for you in class! All classes utilize our online scheduling software at MindBody. Register to create a MindBody account. Class sign-ups will be available one week prior to each class. Login, sign up, rest easy. Class full? We suggest you place yourself on the waitlist. If you are on our waitlist and a spot opens up, you will be sent a text, email or both (depending on the preferences you set) to let you know a spot is available! To ensure that we are all continually bathed in good karma, please be sure to cancel your reservation at least 6 hours before class (no later than 9:00 pm for our first two early morning classes) if you sadly will not be able to join in the fun. Failure to cancel a reservation within the specified time frame, when there is a waitlist in place, will result in a $20 fee being placed on your account. Make every move matter with our MyZone Heart Rate Training system. 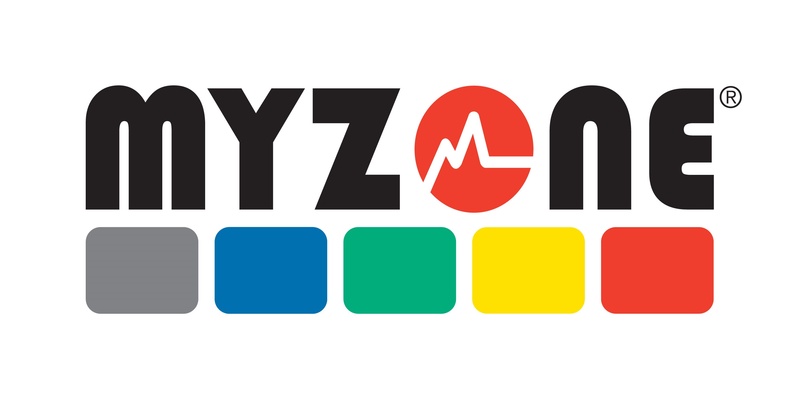 Bring your MyZone belt to the club and view your activity during our classes, personal training sessions, on a treadmill or working out on your own. One of the biggest benefits of the MyZone system versus other in-studio heart rate monitors is that MyZone tracks your effort and progress not only inside of MIAC, but EVERYWHERE you train. Going for a run? Wear your MyZone monitor and view your effort via the mobile app. Your MyZone belt will store up to 16 hours of training so feel free to ditch your phone, hit the slopes or hike your favorite trail. Your workout data will be ready to upload whenever you are. We will cycle our hearts out on Keiser M3+ bikes equipped with the latest blue tooth technology. This will allow you to download your personal workout information into a handy phone app so you can track your progress as the days, weeks and months tick by. Additionally these rockin’ spin bikes will display your cadence (rpms), power (wattage), gear (resistance gears 1-24) mileage, pedaling time and HR if you are wearing a Polar strap. Grab your water bottle, we have towels for you, let’s ride! TR what? You might have heard of it, might have seen it, or it may be completely new to you. The TRX Suspension training system, born in the Navy SEALs uses body weight exercises in conjunction with gravity to develop strength, balance, flexibility and core stability simultaneously. These seemingly innocuous straps will leave your muscles trembling and your core rock solid as you move through hundreds of different body weight exercises with the expert guidance of your instructor. You are in complete control of the level of difficulty as you adjust you body position to increase or decrease resistance. Medicine Balls, Kettle Bells and Step 360s . . . oh my! We promised toys aplenty, here they are! Along with resistance tubing and bands, our highly trained staff has designed the perfect compliment to our many cardiovascular classes. Your muscles will be tested and your metabolism revved up all while having a little fun along the way! Break out the Epsom salts, it might be time for a soak or two as you challenge your body in new ways, move in all directions, push, pull, rotate, bend and twist your way to a new level of fitness. The human body is designed to move . . . let’s MOVE!